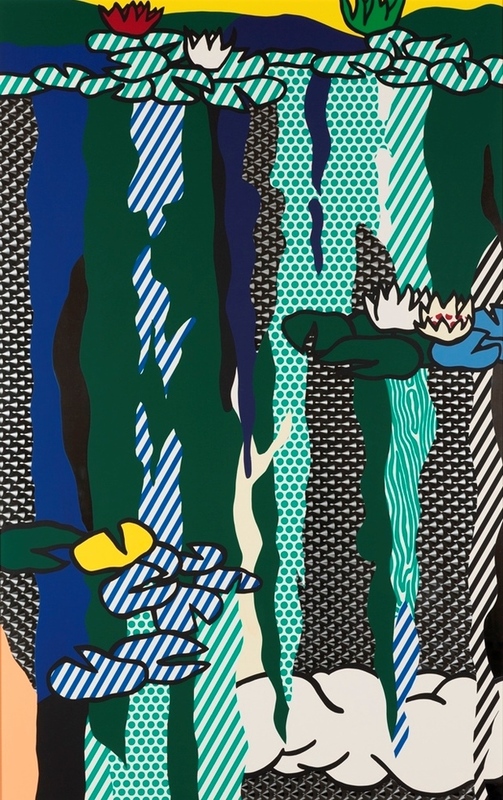 Roy Lichtenstein, Water Lilies with Cloud, 1992, screenprinted enamel on processed and swirled stainless steel, with painted wood frame. Gift to the Norton Museum of Art, Thaler/Howell Foundation, Inc., 2015.105. ©Estate of Roy Lichtenstein.